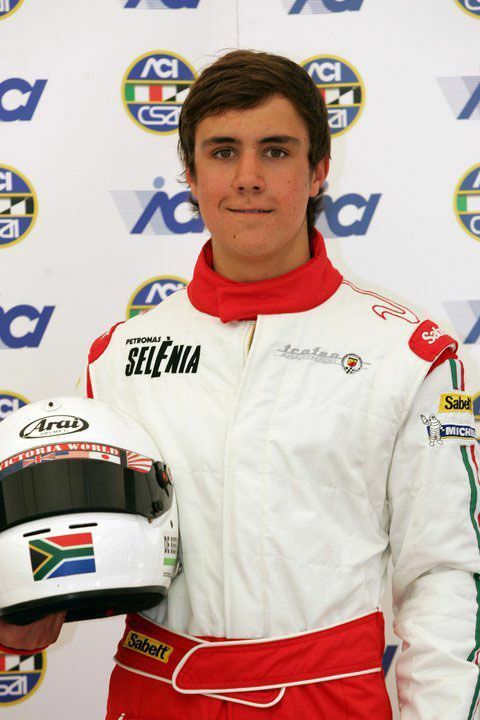 The South African driver will race with Dario Caso's squad in 2012 too. An important new entry then in the Italian Formula 3 Championship with a Mygale and with the talent of the young driver coming from the “school” of the Formula ACI-CSAI Abarth. 04/06/2012 - Mugello will set the beginning of the Italian Formula 3 Championship and will see a new driver on the starting grid. The South African Roman De Beer, class 1994, has already two Formula Abarth seasons behind his back. He obtained 4 podiums, 3 in 2010 and one in the six races run last year as well as the fastest lap of the race in Misano out of the twenty races run in the smaller series of the Federation. The driver from Johannesburg arrived only a few days ago in Italy and run just one test on the French car but the desire of being back in the Italian Championship is high: "The Italian Formila 3 is and has always been a very good championship with a lot of competition and, despite it being very difficult to me, I strongly wanted to be back to race in Italy. It is not easy to find sponsors in my country but thanks also to Dario Caso of team Victoria World, now I am here and ready for the beginning of the championship even if just tested once in Magione with a less powerful engine". Dario Caso, team manager for Victoria World and manager of Roman De Beer, is hopeful ahead of the start of the championship: "We are back in Formula 3 with a driver having a lot of potential, we do not want to deceive ourselves, but I am certain that, despite the few kilometers run so far, he will manage to fill the gap from the other drivers. Roman is a bet for me, I have been managing for three years now. He paid us off with good results and we hope to get soon to the success on a Formula 3 Mygale that is certainly the car suiting him better than a Formula Abarth".